The All Rounder Cricket Black Friday and Cyber Monday cricket sale has become legendary in the cricket retail market. This sale includes reductions on cricket bats, cricket equipment, cricket shoes, cricket bags, cricket helmets and much more. With up to 75% discount off RRP in our cricket sale it is certainly worth purchasing a discounted bargain. The Black Friday sale is available in the UAE, USA, New Zealand, Saudi Arabia, Australia, Ireland, Sweden, Norway, Hong Kong, Japan and more. This year All Rounder feature discount from 2018 products that are only recently new to the market. Look out for 2018 and 2019 cheaper prices here! With our End of Season Clearance Sale, Xmas Sale and Black Friday / Cyber Monday Sale we certainly offer our customers some great cricket deals. The Black Friday sale is also live in our Leeds and Sheffield store with every cricket equipment product discounted across the board. Our cricket teamwear is also reduced in price to mirror other campaigns. 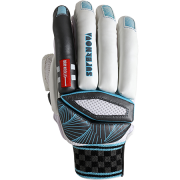 Please contact All Rounder Cricket via Livechat or telephone to discuss deals further.